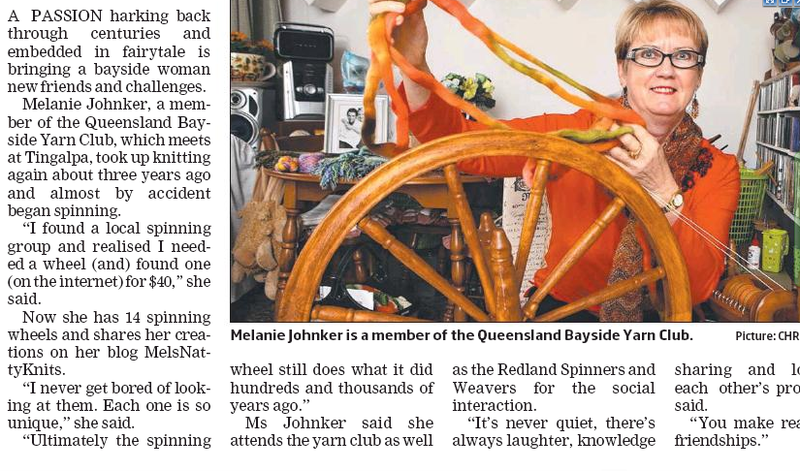 I was recently contacted by a journalist from the Wynnum Herald who had located my blog and wanted to write a story about my yarn addiction, in particular the number of spinning wheels I own. Here is that article which appeared on Wednesday, 15 July 2015. Thank you to my friend Helen who scanned this article for me.